With glorious sunshine and high temperatures in the forecast earlier in the week, it was the perfect chance to tick one last item off the summer bucket list: a day trip to the British seaside. 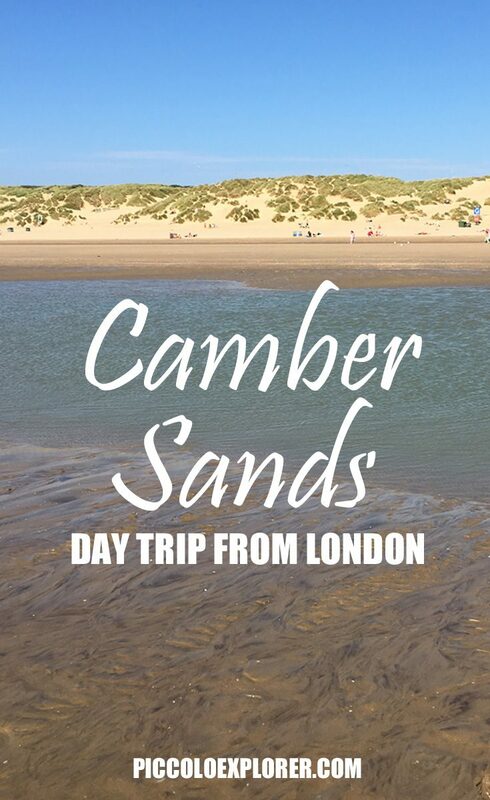 Camber Sands appealed to me with its long stretch of sandy beach and picturesque sand dunes, and at just over two hours away from London, it’s about manageable for a day trip. 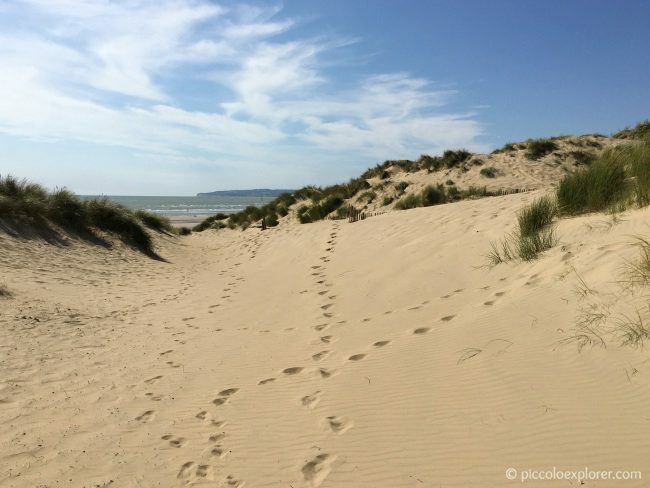 The drive to Camber Sands was fairly easy along a series of motorways and dual carriageways before taking a winding road to the coast through the beautiful countryside. 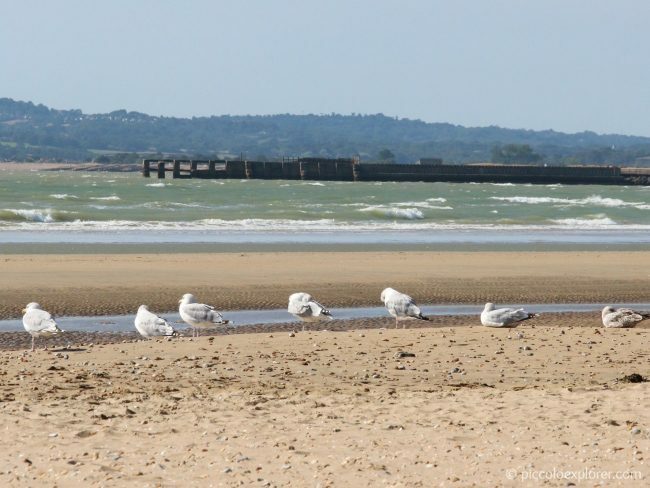 Camber Sands is a popular kite-surfing and windsurfing spot, so it came as no surprise when the car park attendant mentioned it was windy out there. She suggested using a windbreak, and I did see several people using windbreaks or tents along the beach. The wind eventually died down and wasn’t really bothering us that day, but the area is known for high winds so it is worth keeping in mind to bring some type of shelter especially for babies and toddlers. The rental shop by the car park also hires windbreaks along with plenty of beach gear. After having a picnic on our beach blanket and building sandcastles to run over with a bulldozer, I changed Little T into his swim gear and we set out to explore the beach. 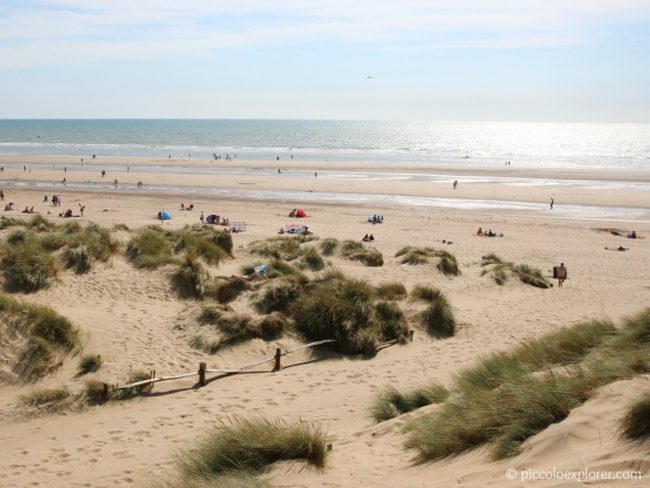 Camber Sands is about five miles long of golden sand backed by beautiful dunes. 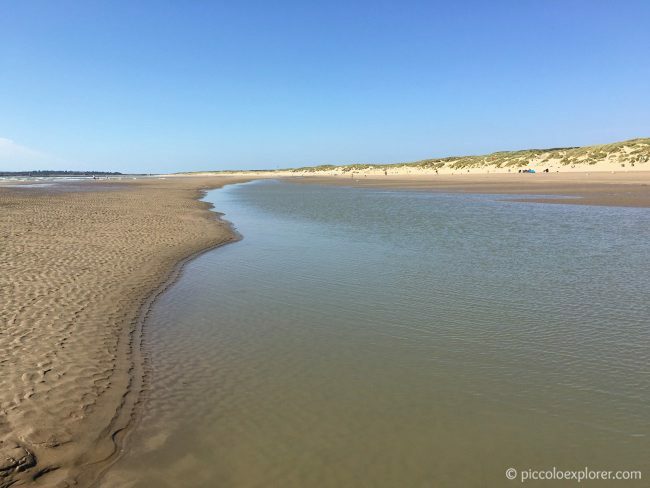 From where we were, there was a small strip of calm, shallow water and then a sandbar of squelchy wet sand to cross before reaching the waves breaking at the shore. We went back and forth between jumping the choppy waves at the shore to dipping our feet in the shallow water where you could also see tiny fish darting about. Little T loved stomping along the sandbar making footprints or letting his feet sink into the sand. Little T had a blast being by the water – it really made the drive completely worth it seeing how much he enjoyed the beach, with a big grin on his face the whole time. And he enjoyed climbing the sand dunes just as much! Quite a few people were relaxing on the dunes taking in the view. We climbed the dunes and raced back down, weaving around the patches of tall grass. 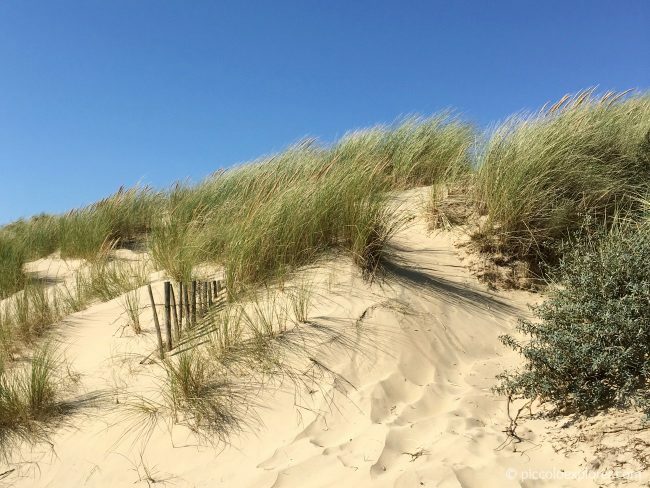 The dunes were my favorite part of the beach – beautiful to see and fun to explore. 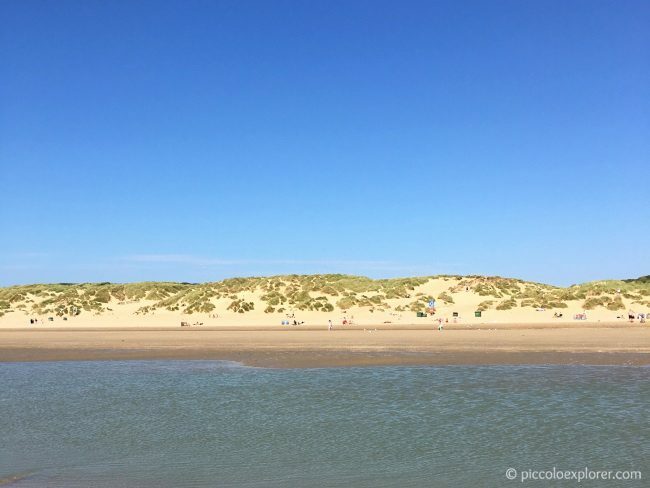 On the other side of the dunes, you’ll come across a café, pub and a couple of fish and chips shops on New Lydd Street. We ended up taking a path that took us down to the beach parking lot, where we made our way to the street to buy chips to indulge in back on the beach under the watchful eye of a squawking seagull. It was soon time for us to go and the only downside to our day was the horrendous traffic heading back to London along the M25. It took us nearly 3 1/2 hours (!) to get back home, fortunately Little T dozed off for part of that time. Overall, we had a great day enjoying the late summer sun at this beautiful beach and I would highly recommend visiting! I was hesitant to make the drive out to the seaside, but we lucked out having stunning weather for a last minute day trip in early September and I’m so glad we went. 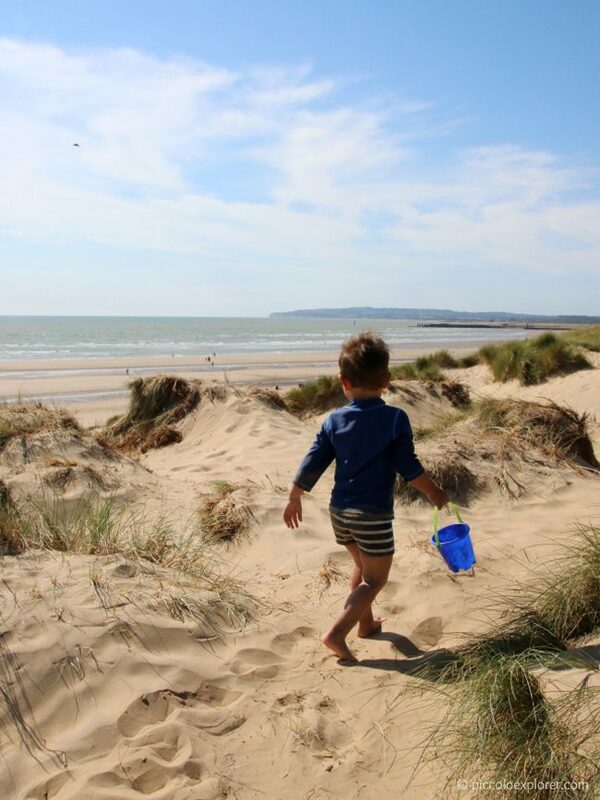 Camber Sands Beach is back on the bucket list for next summer, possibly earlier! Parking: Central car park is a paid parking lot with direct access to the beach and closes at 8pm daily. I paid £5 for a 1 to 3 hour stay. Parking is “pay on entry” during the summer period from Easter to the end of September, while pay and display ticket machines operate during the winter months. Facilities: Right next to the parking lot, you’ll also find restrooms, a first aid post, a beach rental shop, café and grill. On the main road as you get to the parking lot, you’ll also see a row of fish and chip shops, a pub and a couple of restaurants. Subhanallah, beautiful sand and place. If I have much money I want go to Camber Sand, but London so far of my country. 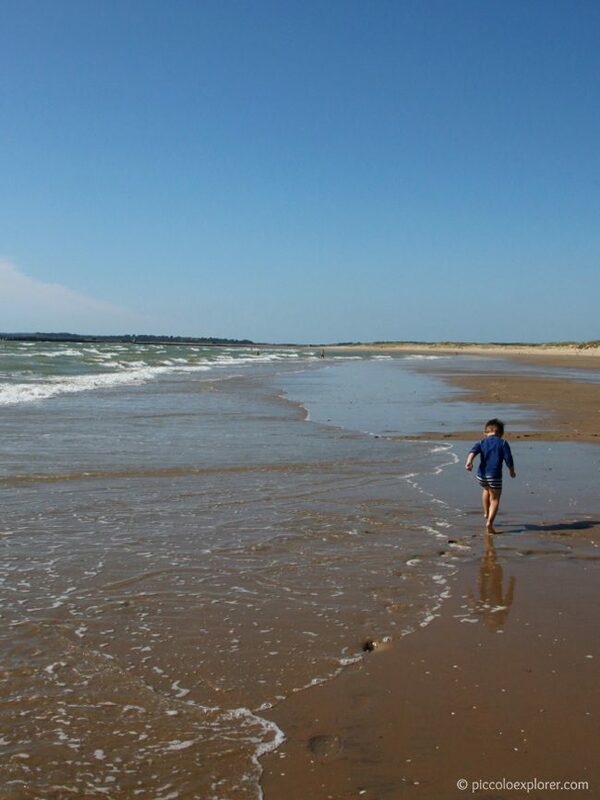 But it’s nice trip to everypeople when holiday to Camber Sand.